Tired of losing the inner battle that worry and anxiety wages inside your heart and mind? I am too! This Average Joe admits worry is a DAILY battle. Yes, some of us are born with anxiety DNA. Are you ready to defeat it and be able to help others you care for to conquer their worry? Avg Joe’s Portico is a place where we Worriers learn to become Warriors! 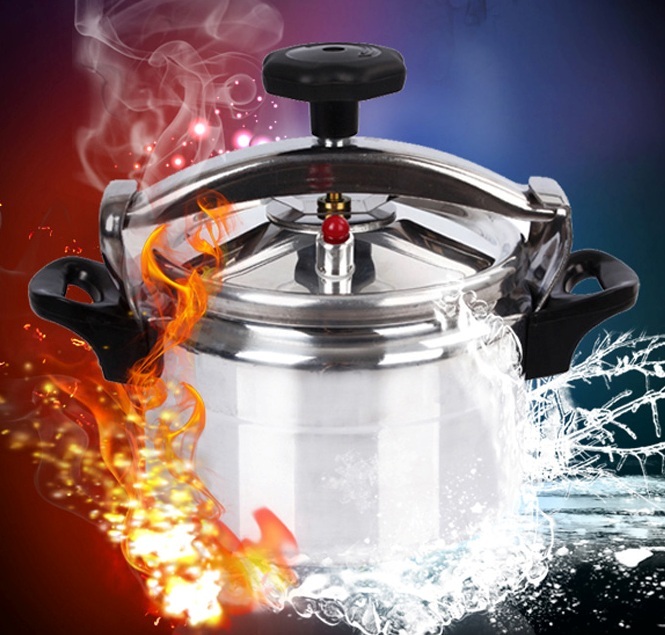 Life can be a Pressure cooker, how would you like to uncork the steam and turn it into positive power? We’re in a PRESSURE cooker from outside sources; opPRESSer’s and suPRESSer’s, seek to dePRESS us all. In my 58+ years of life, I have experienced extreme stress from being in a family of 10, working in the high stress traveling sales world, while leading volunteer church and community groups for years. Joe’s Portico reveals stories and tips to help you become what those with position, and self-declared authoritarians seek to stop. No one dares to tell of their inner mind struggles lest it makes them appear weak. But, it is the very core of the anxiety laced overcomer, that you are, that allows YOU to become a bold warrior ready to fight oppression. All is for the sake of humanity to bring the power of healing to a hurting world. It has become the core of motivation and alignment in all aspects of my life. Some say fear and anxiety is ‘sin’, I agree NOT, if used effectively it is a gift. (Yes, for some I know that sounds like heresy, before exiting and never returning for further discussion read Under The Holiday Pressure) For we worriers carry concern and care for things and for other people to the highest degree. That can be bad if it causes us to shut down or want to crawl in a hole and hide. But it can be a powerful reminder that we have more in our spirit than in our bones: Power = Inner strength Love = Caring to the Nth degree Self-Discipline = Carefully managing all aspects of our core. I have been in the worry place many a time, at the starting point. But through many hard lessons, trials, and storms, I have learned to turn that weakness into power. No, it is not easy. Yes, it takes huge amounts of energy and effort to overcome, in fact as I’ve gotten older, the pressures have gotten heavier. Thus, I and I assume you, need all the help we can get to conquer both the inner and outer stress battles we face. I am thrilled you are here to share in the growth with me, and I can’t wait to interact with you and help you defeat your inner struggles and celebrate the victories. So, my name is really Joe, and I have spent my 58+ average years trying to live life under the radar in peace. However, I was raised in a family with eight kids with a Mother who worried about everything. That DNA was so prevalent in me, I would nearly pass out in school any time a teacher called on me. My face would flush red, and I could not speak from the near panic attack that arose just from people looking at me, it was that bad. While the ‘fear’ always exists the debilitating stranglehold it had over me has weakened. I learned to convert the worry into energy and spent most of my work-life daily interacting with thousands of people as a technical sales manager. Few knew I was a total introvert living an extroverts life. My inner thought life has been anything but peaceful, do you feel that way as well? It is not abnormal. I lived trying to be the nice guy that gets along with everyone. Though too often, an inbred protector badge on my heart that must stick up for the less able oft erases any chance of staying low. I know how awful it feels to want to help people, yet being so afraid I could not open my mouth. Thus today, I write to help the Average person to go from shy defeated worriers to be the amazing people God created us to be. I’ve lived a life just like you, sometimes it feels like the world has caved in and I want to live under a rock, at others, I feel I am on top of a mountain ready to fix the world. Those strong people shouting at you from their throne can make you feel like nothing, yet we all have the capability to overcome and succeed and be better than the average Joe. I think we all can get past those monsters on a hill and be amazing! Today, I write TRUE stories written often in real-time while in the midst of the pressure cooker as an open display of what I feel, so you can see, you are NOT losing it. The preachers on Sunday, the tough politician, the buff athlete, or Corporate Exec seldom reveal their inner struggles. It would reveal vulnerability that they do not want you to know they carry. Perhaps they are super human and do not have any anxieties, I believe they and we all do! I share the hard lessons of stories past, to help wipe out the worrier that fears what people think, to help bring the warrior out of the smoke and dust to be the power ladened people we can be. Does worry on the inside ever go away? Someday I would love to give you a 100% yes. In all honesty for us worriers, not completely. However, that does not mean we cannot do amazing things. It takes practice and one at a time practical steps to move past the shakes and stomach quivers. I don’t believe there is a magic wand waving solution. Thus to help myself first, I put in writing every old and new idea to help anyone looking to cure themselves of this crippling worry challenge. I do believe that by controlling what we can control on the physical and mental side that we can conquer the body and soul, and it is vital to being well physically and mentally. It is vital that we practice any and every technique and help others we encounter that need help. Whether it is our own children, others we are involved with, or via a wholesale life of helping other people. To stop the shooting and crimes of revenge, we must do more than just medicate. While all that we do to help the Mind and Body is important, I attest to the last and most important ingredient to complete dominance of worry – Spiritual healing and daily growth. The goal of Joe’s Portico is to HELP everyone that dares to admit they can use some tips in dealing with worry and anxiety. Plus it is nice to know you are not in the rocking boat alone, there are millions of others just like you. Thus I start all stories and posts with the part everyone can understand and relate to. I know some struggle with believing the spiritual side of gaining victory. I always give you the opportunity to STOP reading at the If You Dare, Click to Enter Into Joe’s Portico line. Joe’s Portico leaves you with the opportunity to skip the Jesus stuff, as I like some of you, was at one-time at a point in my life where I wanted nothing to do with any religious people. I say it in that tone as I fully understand why some may turn away and scoff. In fact, part-way into my ‘Christian’ walk, I wanted nothing to do with Christians period! Been there with you that are in the boat. I still loved God and Jesus, but frankly, the people that said they were followers, caused me more anxiety, anger, worry, bitterness, and hurt than any others. You expect the nasty’s of the world to create conflict, it should not come from those who say they are a brother or sister. But sometimes it has, and it does occur. Like my issues with worry, I got over it, and boldly stand ready to help those in the bitter boat. I know it is not easy, as that too is a very hard war. It is important to understand, Jesus is THE STANDARD. I do not believe God will give free passes to those who blame ‘hypocrites’ as their only reason for not believing in Him. Joe’s Portico is an average persons view tackling the tough topics of the Bible as they relate to our inner mind battles and handling the stressors cast upon us by people. The “Portico’ was a place where significant ‘challenges’ were cast before the religious and government leaders to live in a way that puts all people at the same level. Dominance-driven leaders, both in the real world and church world, typically do not like average people doing things outside of their control. Thus they pressure you to be silent and stay in your place. Whether you want to step out of the worry shell and just have a conversation with someone or to go from worrier to warrior, then hang out in the portico with this average Joe. P.S. Make sure you read the disclaimers – not to be misunderstood, this ‘Warrior’ is out to help people, not hurt them. I have been married to the most patient and kind woman in the world for 32+ years, and we have the average 2 kids, our daughter 31, and son 21. God provided instant tickets to heaven for three others providing at the time deep pain, but a needed change in perspective for us. I have a tremendously active mind that in one moment sees the positive in life and at others is ready to go down the bitter path. My wife has been the steady guide to let me vent, and then steer me back. Without her, I would probably be in a very bad place at this point of life. And without my kids and many friends, I would have given up. But seeing change through both the good and not so perfect things of life, I have also seen the motivation to press on to greater things. As of March 2017, we were able to walk from the corporate world. While my job in sales paid higher than most, it was far from the 1%ers. By living below our means while being generous with time and money, we were fortunate to hang it up and spend time doing what we’d like to do rather than what being enslaved to debt forces you to do with no choice. So being a ‘worrier’ can be a good thing, it keeps you from trying to be something you are not. Combine that with good wisdom in both the physical and spiritual aspects of your life, and you can amaze yourself how you can ultimately be worry-free. That, of course, means defining amazing. I happen to think being an Average Joe is a good thing, 80% of us fit into the category. Stick around and let me help you be just a little better than average, especially for us anxiety-prone individuals, you will feel amazing when the balance to peace is discovered. I was born with a bloodline with a mother who never drove a car or flew in a plane, and literally worried herself to death (I’ll tell that story later). She and my father were two of the nicest people in the world, they really were. But catch Dad duffing a golf shot or breaking the pipe while attempting to fix a leaky faucet (that merely needed just a washer replaced) and you’d better cover your ears and duck from the flying club or wrench. When guests were coming over, they’d both be yelling and stressing about the tiniest of prep issues, but as soon as the doorbell rang, you’d never know that nothing but peace and love went into the preparations. (But I still loved them 🙂 Pile on workaholic-ism, perfectionism, dysfunctional-ism, catholic-ism, with eight kids under a four-bedroom roof, and you can produce an unbalanced child or two. My Dad’s quote is both a curse and a blessing as it is seared in my brain. “If you are going to do anything half-assed, you are better off not doing it at all”. Ok, I got the bad word out-of-the-way. That is for those who think if you say you are a ‘Christian’ you must be perfect. I’d rather ‘offend’ and get it over with to those who already have it all together. Frankly, if my Dad’s quote offended you, this may not be the place for you. While I try to be p.c., it doesn’t always come out that way and I believe sarcasm at times is a good way to get a point across. So go to some other place if you require hearing only words from the voice of an angel. Whom I do not want to chase away & never return is somebody turned off immediately that this may be some religious blog. I also would hate to chase away anyone who has been hurt by church people. I was, and it took many years to get over bitterness from some of them. So please hang around for healing. At the same time, I do not want to mislead anyone either. I happen to think a relationship with whoever created me and this world is important, and it is my #1 priority. 30+ years ago, I realized I could not buy, work, or be good enough to make it to heaven. I had so many regrets, including the time I told my mom after a huge argument about going to church, ‘if this is all there is in believing in god, then I don’t believe in him at all’. After stating such, I waited for the bolt of lightning to hit, as that is, what I thought would happen. Obviously, it did not. Later I did what the Bible says after seeing how much God cared for me and repented after God used a number of surreal events in my life to open my eyes up. I wrote about in a post titled (Is Religion Evil?). God, I believe, patiently chased me down and provided an invitation, not a forcible entry, and not anything that I deserved, and I began a relationship with God through His Son Jesus. I believe His Spirit bonded with mine on that day in 1980. Since then we’ve had quite a ride together. I’d love to tell you all the riches of the world, perfect health, and pure holiness and perfection has dominated since. That is not earth reality. It is a reality though to me that as I surrender willingly my freewill to let him guide, things go a lot better than when I don’t, at least in my dealing with everyday life. While I’d love to tell you I’ve reached all my goals since my childhood dreams like making it to the MLB or NBA, or being an FBI agent to catch-all of the bad guys, or owning a thriving corporation, or to be the next Billy Graham, I cannot. That is the point though. 90% or more of the rest of us have various things happen that filter the reach to the top status. Or we are in the little by little process of getting there. Or maybe, some other priority like a special needs child altered our goal-seeking priority. Or maybe get this, maybe God’s plan for our lives was on the lower end of the scale, but in His curve measured system, is actually an acceptable life that will result in the statement, ‘well done good and faithful servant’. In the business world where I have had enough success to let me set out on this venture financially secure. It is not being written because I need a bigger house, it is being written because you don’t have to have a top title to retire early. I will venture into principle sharing often as I don’t think God is a crutch that provides everything via because I asked for it, but via a combo of faith and faithfulness. That is something some do not like to hear, but from an average viewpoint, some of those pulpit teachings do have validity. I will not sway from guiding with the truth I have learned to apply. A manual does make operation accurate. Lastly, I am a fault filled individual, and a few people who have seen me at my worst moments in the work world might even say, ‘you’re a Christian, wow’. This is my coming out of the closet place. Few will admit that, and I can hear the “should’s” from the judges. Thankfully, the One that matters says He loves me as I am, and has said, go help those like you that need encouragement to fight fears and deal with the doubts planted by the taker. Show them how to stand firm when being bitten in the back. Yet handle it with grace and love since you average Joe have done it both wrong and right enough times. Certainly, by now you know how to do it right occasionally, and have the principles you have learned to apply the hard way from My word experientially. Go do it boldly, Avg Joe! I hope you’ll stop by regularly and will start a journey together with this Average Joe to find a balance that brings internal peace. Let us fight off the thoughts that lead to bitterness. Let’s do what we can to make our world a little better each day. I know I will not always wright without mistakes or even be totally correct. But I know if you are here, it is for a reason, just as I know this call to share my heart is far beyond anything of my own doing. To God be the Glory in all that flows, and may it bring healing and help to all who pass through these pages. The voice of the average Joe is seldom heard these days, let alone daringly as it was portrayed in a place called Solomon’s Portico. For a long time, this average Joe has stood on the sidelines allowing fear to reign. Often life routinely bites people in the back, especially it seems to happen to those like myself that try to live peacefully and carry a burden to help people. However, self-doubt from our humble beginnings and world beat downs regularly duels with our confidence, doesn’t it? Whether you believe in hearing a calling to do something or not, I think it happens, and it did to me. Sitting in a white rocking chair on my porch (aka portico) words jumped off the page of my favorite book about this place called a portico. The sound rang for months, “average people don’t speak in important places, let them hear.” I tossed out the idea to several friends and every time in return I got a slow tilt of the head look like a puppy makes when it hears a whistle. I figured that was my queue that this needs to be started. Three world-changing things happened in Jerusalem in a place called Solomon’s portico. The first time was in the Bible in John 10. Jesus was on or in the ‘portico’ speaking to some cynical religious ‘leaders’ trying to trap him in his words like they often tried to do. They were saying to Him, “How long will you keep us in suspense? If you are the Christ, tell us plainly.” Jesus answered them, “I told you, and you do not believe; the works that I do in My Father’s name, these testify of me. But you do not believe because you are not of my sheep. My sheep hear My voice, and I know them, and they follow Me; and later He said, I and the Father are one.” With those words, they picked up stones to stone him to death, but he escaped, as the time for his death was not at hand. The second mention of Solomon’s portico is in Acts 3 where Peter healed a lame beggar to the astonishment of everyone, and then he told the crowd how they are the guilty parties who killed Jesus. Now Jesus spirit was inside all believers and on display. Later in Acts 5 some of the followers learned they were not ‘playing church’ as a married couple lied about some property they had sold and presented only a portion of the money they had gained from a sale acting as if they were giving all the cash to their church. On the spot, they were slain. How would you like to be in a church where one lie turns into your death? Like I said earlier, the voice of the Average Joe seldom is heard these days, let alone daringly as it was portrayed in Solomon’s Portico. I am motivated to change that now. Jesus or Peter, I absolutely am not, and I am not deserving of any chance to speak on their behalf. Frankly, I am deserving of being stoned like they wanted to do to them, but not for doing and saying the right things. However, Jesus & Peter dared to challenge the accepted beliefs and worldly standards of society and altered eternity. Perhaps the world will not change via Average Joe’s Portico. But come back, if you dare, and just maybe via a little contesting of your thoughts may alter your world. I hope the result will help you become a little better each day. Information on the Courtyard area of Solomon’s Temple: http://www.biblestudytools.com/encyclopedias/isbe/porch-portico-solomons.html ..For a study on the importance of the Courtyard which separated the area where non-believers/Gentiles could roam see a newer release study that discusses the significance of God’s standards and the dimensions of the courtyard being 500 x 500. Please note, I am by no means an expert on Jewish history and all of the data on the Temple. Please email me if you see errors or have additional information. My intention is to help bring basic understanding to topics that many know little about, not to challenge experts in the field. I’ll gladly take an experts information and insert it here, over my google research any day.